The Scottish Gamekeepers Association has given the following response to First Minister Nicola Sturgeon's proposals for 'radical' land reform, warning that jobs of rural workers and their families will go if owners become 'targets'. A Spokesman for The Scottish Gamekeepers Association said: “It is highly important, when considering land reform that Nicola Sturgeon’s Scottish Government should see it as a duty to protect jobs of rural workers in fragile areas. Should it make land reform an ideological vehicle to punish landowners on sporting estates, the real affect will be to sacrifice the jobs of working people such as gamekeepers, stalkers and land and river ghillies, and their families, who will be the first people to suffer if investments are withdrawn and taken elsewhere. “As has been shown recently with the Isle of Gigha, public money doesn’t always mean things are easy or futures necessarily sustainable. There has to be an acknowledgement that some rural business models already deliver successfully in the public interest. “For us, this Review is important from the perspective of people having equal access to justice. “The SGA has long stated that, in order to protect wildlife and businesses and, importantly, to reduce wildlife crime, there has to be a fully functioning licensing system whereby people know they have recourse to a legal solution if their livelihoods are being demonstrably threatened. “As well as proportionate penalties for wildlife crime, there has to be legal tools available to resolve conflicts in the countryside, so there is no need for anyone to take the law into their own hands. This is wholly sensible and, if this was in place and working, it would help tackle the cause of wildlife crime at its root. “The Wildlife and Countryside Act allows for such tools to be available so, if impediments are being placed in the way of people accessing legal solutions, of course the SGA would back any challenge to that. The Scottish Gamekeepers Association has been at the forefront of moves in 2014 to ensure Scottish Government keeps faith with its promise to review the legislation on tail docking in respect of working dogs, should there be evidence to do so. Government-commissioned research from Glasgow University vets, published this year, provided the most conclusive evidence available of the serious welfare implications of continuing with the current legal arrangements, with over 1 in 2 Spaniels suffering one or more tail injury in the single studied season alone. Since then, the SGA has responded in full to the official consultation, plus a further call for views on how any potential legislative change might be made to work in Scotland. 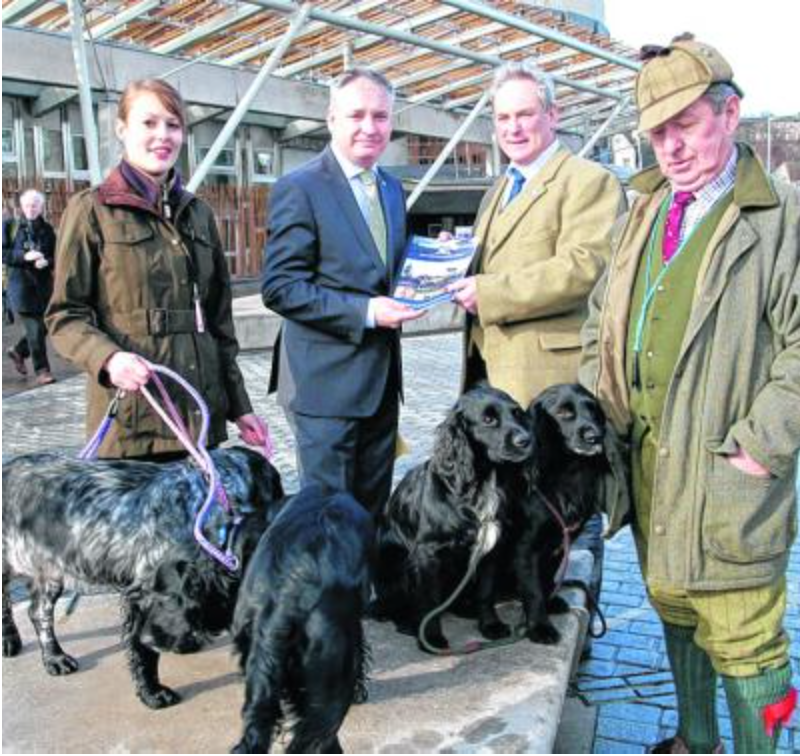 With the shooting season now upon us, and, while we wait for the next steps, the SGA would like members, supporters or anyone who works dogs to inform Richard Lochhead MSP's office if their dogs suffer a tail injury. The purpose is to inform and to ensure policy-makers are aware that this is not a problem that will go away but deserves appropriate, common sense action. Please email Richard Lochhead MSP with your name, address and the nature/circumstances of the injury suffered by your working dog. Date the incident and give a location and any other information you deem necessary. Photographs are also a good record, if possible.